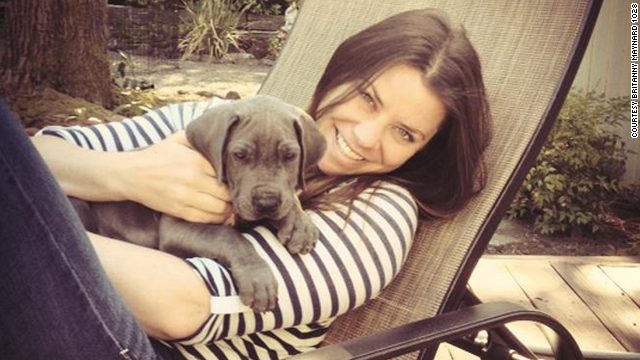 Last week, 29 year old Brittany Maynard quietly took a lethal dose of barbiturates and ended her life; her husband and mother were by her side. This was not a suicide caused by depression or despair, but rather a thoughtful and anguished decision made after Brittany had been diagnosed with terminal brain cancer early this year. Although there were treatments such as radiation offered, the reality is that the tumor was of such a size and was so invasive, that though the treatment might have extended Brittany’s life by a few months, it could not save or heal her. So she, along with her family, made the decision to take advantage of Oregon’s death with dignity law that allows people with less than six months to live to take a prescription overdose and die peacefully. Because Brittany made her decision public in an attempt to advocate for greater awareness of the realities of living with a terminal illness there has been much debate in the public square on whether she should have been allowed to choose how her life ended. She writes that she thought about just not doing the radiation treatment and dying in hospice, naturally, as the cancer consumed her brain but said the emotional and financial toll on her and her family made that a non-option. Instead, she chose to deal with the growing complications of the cancer until after her husband’s birthday and then, on Saturday, November 1, choose her time and manner of death. According to the organization where Brittany volunteered, only five states currently offer death with dignity options for those dealing with a terminal illness. Montana is the most recent state to join the ranks. There are active campaigns in several states, including Colorado, where Charles Selsberg is working with the state Attorney General to get legislation on the books allowing death with dignity here. You can read his story in an open letter to the state legislature published in the Denver Post. Reading the comments on articles regarding Brittany’s choice, I’m dismayed, though not necessarily shocked, by the degree of judgment leveled at Brittany and her family for choosing to have control over her death. Some suggested she acted cowardly, others stated that she’s burning in hell, and still others told stories of their own or of their family members who suffered similarly but chose to fight to the end. What is so frightening about death that we, as a society, can compassionately put our pets "out of their misery" but don’t allow the same generosity to humans? When did we allow the medical profession to take measures into their own hands that prolong the quantity of life, if not the quality. My own father, Odd, suffered from lung cancer that had spread into his brain. Although they did brain surgery to remove that tumor, they could not remove the tumors in his lung and soon enough it would travel back to the brain. The solution, although there was minimal chance of survival for my dad, was to use directed radiation on his chest and brain. Although he had recovered from the brain surgery remarkably well, the radiation wore him down, made him lose some of his capacity for language (he couldn’t recall words easily any more, which frustrated him greatly) and ultimately died, six months after his diagnosis, after lingering near death for several days. In retrospect I would have advocated for no treatment, at the minimum. In fact, even the doctors who treat us, often refuse that same treatment when faced with a terminal illness, as reported in this Guardian article because of the debilitating side effects with no real hope for a cure. So why the resistance to allowing people the same dignity and comfort we offer our pets? Surely, much of this antipathy is based in ancient texts and religions where ending one’s life is forbidden, regardless of the death sentence already given by a person’s body. And maybe there is an innate revulsion at the thought of intentionally ending a life that is encoded in our evolutionary DNA that compels us to strive to survive. Definitely there is a fear surrounding the mystery of death that makes some people want to hold on to this body and this life for as long as possible. And, as Brittany says in the above quote, that is a personal choice to make, no one– not the government or church– should get to make that decision for you. As someone who has seen friends diagnosed with cancer that is successfully treated I understand and am grateful that in many cases, a disease can be successfully treated with radiation and chemo-therapy allowing the person to live a long and healthy life, although they had to deal with a great degree of discomfort and pain caused by the treatment. The difference is in the diagnosis and the chance of success. As someone who has experienced first hand the devastating grief and trauma of a suicide I can clearly see the differences between choosing your own manner of death in the face of a terminal diagnosis of cancer or ALS or other fatal illnesses, and the anguished, often violent killing of one’s self in a moment or season of depression, mental illness, bullying. In those cases, there is help available to the person who is contemplating suicide. In those cases suicide is a permanent solution to a temporary, solvable problem and the damage done to the families and loved ones in the wake of such a desperate act is immeasurable. That’s not what Brittany did. Brittany, with the full support of her husband and family, chose to end her life with dignity, in peace and comfort. It was a selfless act of utmost bravery and love for her own life. As a minister who has sat at the death beds of more people than I care to count, I can understand the sacredness of slipping away into death with or without the aid of medication. Her death was no less sacred or meaningful because she chose not to suffer undue pain and agony first. At the end of the day, what is important to me, is that the person who is facing a certain death within a short span of time has the choice to take that decision away from the cancer or other illness taking over their body and make their own peace with their living and their dying. This past February, my frail, elderly cat Nala went rapidly downhill in terms of her health. After consulting with my veterinarian, I called an organization that euthanizes pets in their home. I sat with Nala on my lap in our favorite spot and held her and stroked her while the vet administered the drugs that would cause her heart to stop beating. She died in the home she loved, in my arms; she died with dignity, knowing she was loved. If the time ever comes when I’m in a similar situation, I hope I will be afforded the same dignity.